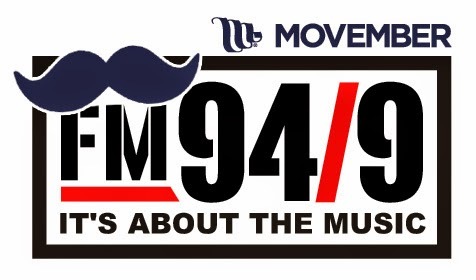 SAN DIEGO, CA - Wednesday, October 22nd: Alternative rock radio station FM 94/9 (KBZT San Diego) has announced their month long Movember campaign, focused on raising much needed funds and awareness for prostate cancer research and men’s health by encouraging men to go without shaving for the full 30 days. 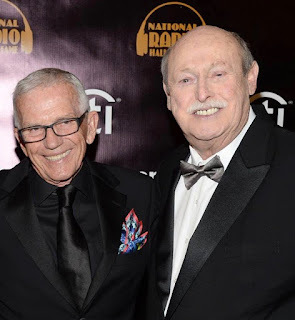 Veteran radio legend and prostate cancer survivor Steve West, who hosts ‘Legends of Alternative’ Sundays from 6am-10am on the alternative juggernaut, will be at the helm during the month of events and activities, kicking off with his annual 48-hour Movember Marathon broadcast. A list of all the station’s Movember activities and events can be found at www.fm949sd.com/movember. The 48 hour live broadcast will kick off Movember on Friday, October 31st at 8pm and on Saturday, November 1st Mr. West, along with Jon Foreman from local alternative band Switchfoot and members of the FM 94/9 on-air staff, will ceremonially shave for the final time in the month of November. The broadcast will run from Friday at 8pm until Sunday November 2nd at 8pm, with special guests and one-of-a-kind auction items, all geared toward generating donations to the Movember Foundation, the leading global organization committed to changing the face of men’s health. FM 94/9 is a local alternative rock station, founded in 2002 and owned and operated by Lincoln Financial Media, San Diego. FM 94/9 was named San Diego CityBeat magazine’s Best Radio Station in 2014.